Amelia Island Accommodations | Guide to Amelia Island Accommodations, Hotels, Motels, Campgrounds, Bed & Breakfast Lodging and Places to Stay on Amelia Island, Florida. Guide to Amelia Island Accommodations, Hotels, Motels, Campgrounds, Bed & Breakfast Lodging and Places to Stay on Amelia Island, Florida. Visitors to Amelia Island, Florida find many accommodation choices with more than 2,500 suites, villas and guest rooms to suit any preference — from five-diamond luxury oceanfront resorts and hotels to vacation home rentals, beachfront cottages, condos and apartments, golf villas and historic bed and breakfast inns, motels, to family campgrounds and RV resort facilities. Amelia Island has been voted among the Top 10 North American Islands by Condé Nast Travelers Reader's Choice Awards for seven consecutive years. Situated on the southern end of the island are Amelia Island Plantation, The Ritz-Carlton: Amelia Island and Summer Beach Resort. All three offer oceanside accommodations in either private seaside villas, townhomes and luxury condominiums or deluxe hotel rooms. An assortment of condominiums, resort hotels, motels and inns, condos and villas, townhouses and private rental cottages dot the island offering additional accommodation choices. Casual suites, some with ocean views, in a hotel offering free breakfast, an outdoor pool & a gym. The Comfort Suites hotel is ideally located on beautiful Amelia Island, within walking distance from the beach and Fort Clinch State Park. This Fernandina Beach FL hotel is close to the Amelia Island Lighthouse, Little Talbot Island State Park and Kingsley Plantation. The Fernandina Beach Municipal Airport is three miles and the Jacksonville International Airport is 25 miles away. The Florida House Inn is a vintage 1857 Inn located in the heart of the historic district of Fernandina Beach, Florida. The Inn housed Union soldiers during the war and was purchased by Major Leddy and his wife. After the Civil War, Fernandina became a bustling and thriving seaport town. Over the years, the Inn has withstood many hardships and still stands as the matriarch on the Island. The inn has housed many guests throughout the years including Ulysses S. Grant, Jose Marti, Henry Ford, Laurel and Hardy, Mary Pickford and more. Step back in time with us and experience Old Florida! Guests enjoy complimentary coffee service in the parlor available at any time, followed by a home cooked breakfast in our breakfast room overlooking the courtyard. Mid-morning, a refreshing blend of water is available & a bowl of fresh fruit for you to enjoy. Happy hour from 5:00-7:00pm, Monday-Saturday at the Mermaid Bar. You will also have use of complimentary wireless Internet access & private parking. Come step back in time with us at Florida's oldest continuously operated hotel and enjoy old Florida charm at it's finest. Modern hotel offering free Wi-Fi & hot breakfast, plus a business center & an outdoor pool. Located only one block from the Atlantic Ocean and the beach. Amenities include pet-friendly rooms , free high-speed internet access, flean and fresh Hampton beds®, an in-room mini-fridge and microwave, and 32-inch flat-screen HD TV with premium cable channels. 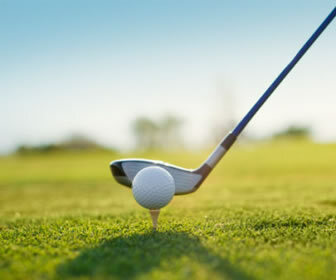 Elegant oceanfront resort offering 3 golf courses & upscale dining, plus indoor & outdoor pools. Nestled on 1,350 acres at the tip of a barrier island just off the Northeast Florida coast. Enjoy luxurious oceanfront accommodations, world-class resort pools, championship golf, full-service spa, endless dining options and family-friendly activities. If meetings are on your agenda, we offer the largest conference center on the island with versatile meeting space and state-of-the-art technology. It's the perfect backdrop for your family vacation, romantic getaway, corporate event or destination wedding. Stroll 3.5 miles of pristine beach or spend an afternoon kayaking and paddleboarding through Amelia Island's preserved marshlands. Children will enjoy our award-winning kids' camp and Nature Center, both of which offer supervised activities. Tee off from one of two Audubon International Certified Sanctuary golf courses. Our pristine courses have earned Omni Amelia Island Plantation a "Top 121 Golf Resorts in the World" ranking by Condé Nast Traveler. Follow up your tee time with a relaxing afternoon at The Spa or dining at any one of our nine superb restaurants. Bright, relaxed lodging with free Wi-Fi & breakfast, plus an outdoor pool & BBQ facilities. Features 133 rooms and suites, all of which have a kitchen and dining area. Accommodations include studios, as well as one and two bedroom suites. Located within walking distance of the beach on Sadler Road, the hotel also has meeting space for up to 90 people. Elegant beachfront property with 4 restaurants, a full-service spa, a fitness center & 2 pools. Make memories at The Ritz-Carlton, Amelia Island, where southern charm, magnificent scenery and casually elegant surroundings exemplify the gentle ambience of this barrier island's luxury beachfront resort. Located on a grand stretch of pristine coastline, this North Florida resort is the perfect place for families to reconnect. For couples to retreat. And for groups to rediscover their collaborative spirit. Revel in the stunning coastal views revealed from the private balcony of luxurious accommodations inspired by the ocean. Surrender to serenity at our on-site spa , indulge in fine dining , or play 18 holes on our private golf course , lined with ancient, moss-covered oaks. At The Ritz-Carlton, Amelia Island, let us make time stand still for a day, a week, forever. Built in 1971, the Amelia Island Plantation raised the bar for eco-friendly developments. Lead Developers Charles Fraser and Ian McHarg envisioned a resort community that not only paid tribute to its environment, but worked hard to maintain a natural balance with it as well. What they ended up with was a coastal paradise existing in complete harmony with its surroundings. To this day, The Amelia Island Plantation teems with authentic, natural beauty and remains sympathetic to surrounding plant & animal life. Each building, courtyard, and terrace was constructed with the environment in mind. The philosophy that each entity at the resort "embraces its site and becomes one with it" remains the principal mission of The Amelia Island Plantation and is the very reason it has been able to sustain such a pristine, natural environment for so many years. Free breakfast, 24/7 gym & an outdoor pool in a relaxed hotel overlooking the beach. Located only minutes from historic downtown Fernandina, our family-owned hotel offers perks you won't find at big resorts. Each of our 86 hotel rooms is designed to be warm and welcoming with premium bedding, and complimentary wireless Internet access. Some offer balconies that look out over the Beach side of the hotel. Enjoy first-class amenities; at an affordable rate. Our hotel includes free parking and a convenient lounge. Grab an energizing swim in the outdoor pool, warmed by the Florida Sunshine! Host your next special event in a unique venue that captures the serenity of Amelia Island. Our meeting space can comfortably accommodate up to 50 guests. Hold your wedding at the Amelia Hotel and exchange vows on the pristine sands of Fernandina Beach. Afterwards, sink into a bubbling Jacuzzi with your new spouse. Fine dining, fascinating attractions and thrilling activities are just moments from the hotel. Explore miles of nature trails that meander throughout this unspoiled island or admire the Victorian-era architecture of Fernandina's historic district. Plus, Jacksonville is just a short drive away. Hotel staff are always happy to help guests arrange tours or suggest activities and attractions. Newly renovated in early 2019, this low-key beachfront motel offers affordable rooms and is the only oceanfront motel on Amelia Island, featuring an oceanfront pool, free breakfast & parking. Our rooms provide a clear view of the ocean, as well as, direct access to the Atlantic Ocean. No streets to cross or cars to dodge, just you, your family, and the beauty of Amelia's unspoiled beach. Spacious rooms feature queen-size beds, cable television, wireless internet and optional efficiencies for your comfort. Overlooking the Atlantic Ocean, this relaxed hotel is 3 miles from Fort Clinch State Park and Amelia Island Light. It's a 4-minute walk from Seaside Park bus station. Simple rooms and suites provide free Wi-Fi, flat-screen TVs and air-conditioning, as well as minifridges and microwaves. Suites add private bathrooms, living areas and kitchenettes. Amenities include a warm lounge with a bar next to an outdoor pool, plus a salon, a meeting space and sports courts. Bikes and breakfast are available and pets are permitted. This beautifully restored turn-of-the century Amelia Island inn in Fernandina Beach, Florida features six elegantly appointed guest rooms, all with private baths. Magnificently restored, original, heart pine floors grace all three levels. Timeless antiques effortlessly mix with contemporary furnishings to make your stay as elegant and comfortable as possible! The exquisitely decorated rooms all feature king size pillow top mattresses (we offer one queen room), private baths (some with whirlpool tubs), and all the amenities you've come to expect and more! Guests may enjoy the common areas including the dining room and gathering room where you have access to a wide variety of books and games. Guests may also explore the beautifully landscaped fenced backyard which features a garden sitting area and private swimming pool. The large wrap-around front porch is perfect for relaxing as you watch passers-by, sip a cup of coffee or read the paper. Located in the heart of the National Historic District, the inn is just one short block from Centre Street and the weekly Farmer's Market where you can pick up fresh, gourmet items, flowers and more! Stroll downtown and taste all that it has to offer, from the many quaint cafés to trendy shops and galleries to unique restaurants. The inn is a short ride from historic Main Beach, Fort Clinch State Park and Egan's Creek Greenway. Features elegant rooms with flat-screen TVs, free Wi-Fi & antique furnishings, plus a pool & a garden. Modern hotel with a bar, an on-site restaurant, an outdoor pool & tennis courts. Just steps away from the Atlantic Ocean, Days Inn and Suites Fernandina Beach is centrally located on the island and provides guests with all the comforts of home. Featuring suites with complete kitchens. Relax at our outdoor swimming pool, play tennis, or enjoy our Seabreeze Lounge. All guests receive free local phone calls and free high-speed wireless internet. 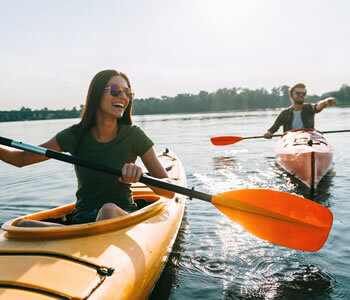 Guests staying at Days Inn and Suites Fernandina Beach gain easy access to recreational activities including swimming fishing, golf, kayaking and horseback riding. The property features tennis courts, picnic area, hair salon, restaurant onsite, sports bar, guest laundry, jacuzzi and outdoor swimming pool. Relaxed rooms & suites in a low-key hotel with an outdoor pool, plus free Wi-Fi & hot breakfast. Located directly on the Harbor in the heart of Historic Downtown Fernandina Beach, FL. Enjoy over 50 restaurants and shops within walking distance. Minutes from the beach. Great meeting and event space also available within the hotel. Bright rooms with balconies in a relaxed beach venue offering a pool & sundeck, plus free breakfast. A charming coastal retreat, Seaside Amelia Inn is a wonderful oceanfront boutique hotel. Begin each day with a satisfying complimentary breakfast. Enjoy our Ocean Front Rooftop Terrace available 24 hours to our guests and is perfect for hosting small groups. Our Inn also has small conference rooms that can accomodate small corprate meetings. When not on the beach, enjoy our outdoor courtyard and pool deck. Serving Amelia Island residents and guests since 1957, this casual motel is home to a favorite restaurant, bar and beach motel. Relaxed suites in a lively motel with an outdoor restaurant/bar, entertainment & ocean views. Fearuting 1, 2 and 3 Bedroom Suites - Some suites include a full living room, dining room and full kitchen. Equipped with cable television and wi-fi access. Right across the street from the beach! Full service cafe, restaurant & bar all on property. High-end B&B featuring refined rooms, plus daily happy hours & a 3-course breakfast. The Addison on Amelia Bed and Breakfast is comprised of three antebellum style houses built around the perimeter of the property to enclose an enchanting courtyard. The meticulously restored main building was originally built for merchant Frank Simmons in 1876, while the other two homes were built in 1996 to compliment the architectural details of the main house. Private, semi-private and public porches overlooking Ash Street or our soothing fountain courtyard provide guests with a place to enjoy a cup of coffee, a glass of wine, al fresco dining or simply relaxing amid the oasis of calm. The Addison On Amelia of Fernandina Beach, Florida was selected as one of the Best of the South in the annual Best of BedandBreakfast.com Awards, 2008-2009. Located in the seaside village of Fernandina Beach, this Victorian-era B&B is .4 miles from both the Old Towne Carriage Company and the local Museum of History. Housed in a trio of buildings – each with a sweeping veranda and 2 dating from the 19th century – are 11 uniquely decorated rooms and suites that range in style from warm to lavish. All come with free Wi-Fi, flat-screen TV's, and whirlpool tubs and/or showers; many have antiques. Days begin with gourmet breakfast in a formal setting and conclude with a sunset wine social.Free amenities include all-day snacks and beverages, loaner bikes, beach towels and parking. Right on the beach, this upscale 1890s Nantucket-style hotel lies 4.6 miles from downtown Fernandina Beach. Elegant rooms feature free Wi-Fi and flat-screen TVs; some have whirlpool tubs. Upgraded rooms in an adjacent building add separate sitting areas and decks. A 2-bedroom cottage is also available. Free perks include parking, hot breakfast and all-day snacks and drinks, including evening hors d'oeuvres and wine. There's also a cozy library. Elegant B&B in an Italianate villa offering an outdoor pool & a free evening social hour. Featured in The Best Romantic Escapes in Florida and awarded membership in Select Registry for fourteen consecutive years, Fairbanks House aims to please. This 8000 square foot 1885 Italianate villa is located in the historic district of Fernandina Beach, home of Amelia Island's tours, attractions, shops and restaurants, and an easy bike ride to 13 miles of pristine beach. The mansion, three cottages and pool rest on an eco-friendly landscaped smoke-free acre featuring native plants, palm trees, large oaks and a butterfly garden. Amenities include complimentary bikes, wifi, off-street parking, beach equipment, docking stations, games and reading materials are always available but we are also at your service to make recommendations and reservations for a great Amelia Island experience. Constructed on Atlantic Avenue in 1905 by builder John Mann, the house is modeled after the Rockefeller Cottage on Jekyll Island. Banker Fred W. Hoyt, his wife Kate, and their three boys, Charles, Willis & Wadleigh, resided here until Mr. Hoyt's death in 1927. The Everett Mizell family enjoyed a comfortable life in this grand home for the next half-century–and now it welcomes you to enjoy what they so loved. The elegant Amelia Island Inn at Hoyt House offers 10 spacious guest rooms, a swimming pool and hot tub, public salons with original hand-tiled fireplaces, the Amelia Lounge complete with English Pub and full liquor license to service all of your libations poolside or in-room. Features refined rooms in an upscale B&B with a locally sourced 3-course breakfast, plus a pool & a bar. Located in the heart of the Historic District you can walk to over 35 restaurants all just steps way from our front door. It is our pleasure to exceed your expectations. Amelia Island Vacation Rentals offers ocean view condos and houses on beautiful Amelia Island equipped with amenities to ensure that you enjoy every moment of your getaway. Privately Owned, Professionally Managed Condos. Enjoy an oceanfront Amelia Island Resort vacation lifestyle in one of our luxurious condominium suites. Awake each morning to magnificent Atlantic Ocean views from the private balcony of your Amelia Island Resort condo rental. Watch the dolphins swim out in the surf from full-length windows or a sliding door while eating meals made in your fully equipped kitchen. Unwind in your professionally decorated suite that includes amenities for your enjoyment and convenience such as hi-definition cable television, wi-fi, free local and long distance US phone service, washer and dryer, and full-sized kitchens. Vacation rental agency. The condominiums at Amelia South offer everything beautiful Amelia Island has to offer, complete with the comforts of home. Select from any of these condo rentals to enjoy a beachside pool, the beach in the back yard, and all the best Florida has to offer. Walk to everything, from shops, to restaurants, to beaches, to historic sites around the island, enjoying the feel of the ocean air. When each of these vacation rentals comes with a washer, dryer, dishwasher, disposal, ice-maker refrigerator, sleeping for up to six, two bathrooms, and a full kitchen, getting a piece of home while on vacation becomes a breeze. The Pelicans on Amelia Island, Florida is a condominium complex located directly at the beach. It features a swimming pool on the ocean side and a lighted Tennis Court on the entrance side of the building. There is a private pier leading directly to the beach which is perfectly suited for early sun rise walks or romantic evening strolls. Vacation rental agency. We know what it takes to run a successful Amelia Island vacation rental management company. Providing quality homes, cleaned by quality employees, and providing quality customer and concierge service is what sets Summer Beach Resort Amelia Island apart from the rest. Fort Clinch is one of the most well-preserved 19th century forts in the country. Although no battles were fought here, it was garrisoned during both the Civil and Spanish-American wars. Fort Clinch is one in a series of masonry forts constructed between 1816 and 1867 known as the Third System of Fortifications. Fort Clinch was built at the mouth of the St. Mary's River to protect the natural deep-water port of Fernandina from becoming a point of invasion by a foreign power. In addition to serving as a sentinel against invasion, Fort Clinch also protected the eastern link of Florida's only cross-state railroad. Visitors can enjoy the conveniences of modern camping while taking in the rich cultural and natural history of one of Florida's oldest and most diverse state parks. Nestled at Florida's most northeasterly tip, Fort Clinch State Park offers 69 campsites in two separate and unique campgrounds. The Amelia River campground is located at the north end of the park along the St. Mary's River. Shady, Spanish moss-laden oak trees offer an old Florida ambience to the Amelia River Campground's 42 sites while providing a breathtaking view of the Amelia River just a short distance from each campsite. The Amelia River Campground bathroom is air conditioned during the warmer months. Located along the northeast tip of the park, just steps from the ocean, Atlantic Beach Campground offers 21 RV and six tent-only sites which are typical of the Florida beach atmosphere surrounded by snow white sand dunes and sunny sites. Both campgrounds have a dump station, laundry machines and beautiful new accessible heated bathrooms with showers. Each campsite has a fire ring, picnic table, potable water and a mixture of 30 and 50-amp electric hook-ups. Specific details about each site can be viewed on Reserve America. The dump station facilities are free of charge to registered campers, but are also available for day visitors who wish to utilize these services for a fee. Well-behaved and attended pets are welcome at both campgrounds. Reservations may be made up to 11 months in advance through ReserveAmerica. Book Online or call 800.326.3521 or TDD 888.433.0287. The park drive provides 3.3 miles of paved road for those wishing to ride a touring bicycle through the oak shaded canopy drive which terminates at the Visitor Center for historic Fort Clinch. Fort Clinch offers a six-mile trail for hikers and off road bicyclists. A six-mile off-road multi-use trail is located adjacent to the park drive and provides a more adventurous ride through the maritime forest as dune elevation changes provide rolling hills and turns. The park offers outstanding birding opportunities and is one of the first stops on the Great Florida Birding and Wildlife Trail. The abundance of dunes, beaches, coastal strand, maritime hammock, and the park's salt and fresh water marshes offer a variety of habitats that offer over 100 species of birds a place to call home permanently or for just a stop during the migratory season. Visitors can enjoy the conveniences of modern camping while taking in the rich cultural and natural history of one of Florida's oldest and most diverse state parks. Nestled at Florida's most northeasterly tip, Fort Clinch State Park offers 69 campsites in two separate and unique campgrounds. Visitors who want to launch a canoe or kayak from the park may use the East or West Inlet Parking areas accessed through the Fort Clinch Visitor Center parking lot. Fishing within the park is quite popular and the park provides multiple options for anglers to enjoy a full day of fishing. Popular locations within the park include surf fishing along the Atlantic shoreline and St. Mary's Inlet as well as adjacent to the jetties near Fort Clinch which is accessible by the east and west inlet parking areas. Depending on the season, the most popular fish caught within the park are redfish, black drum, whiting, flounder, mullet, sheepshead, sea trout and an occasional grouper. The Visitor Center picnic area is located in a maritime hammock area surrounded by relic dunes and oak trees. Freestanding grills and picnic tables are located there. There is a playground available for children to play on. Swimming is available in the Atlantic Ocean south of the jetty. No Lifeguards are on duty, swim at your own risk. Visitors to the park are reminded to pay close attention to the Beach Warning Flag Signs posted at welcome station and at the Atlantic Beach Access Boardwalk. Park Rangers and Volunteers provide a wide variety of programs and activities that are sure to entice the adventurous side of you. Use the interactive Google map below to quickly find all the best rates and places to stay on Amelia Island. You may need to scroll or zoom in or out to see all of the available properties and current prices.